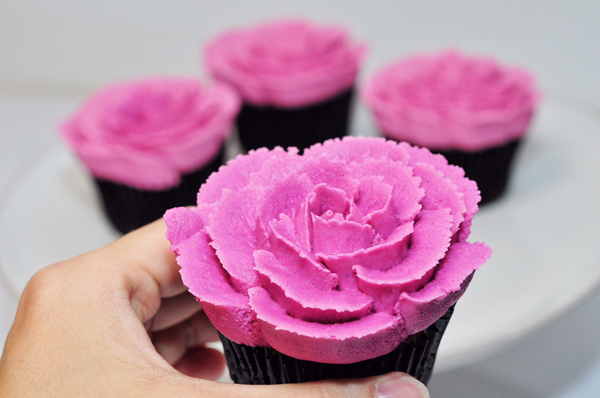 We know that Lava Cake, Rainbow Cake, Red Velvet Cake is so yesterday… With so many cafes and so many varieties out there… what can really attract your attention? For us… It’s…. 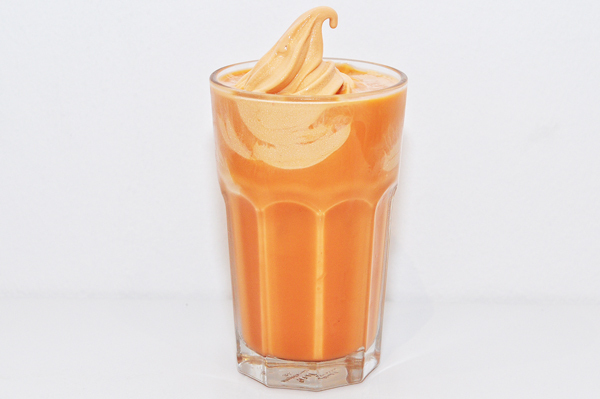 (drumroll…) THAI MILK TEA! It’s like a hidden gem… not too common, under-rated , yet addictive. 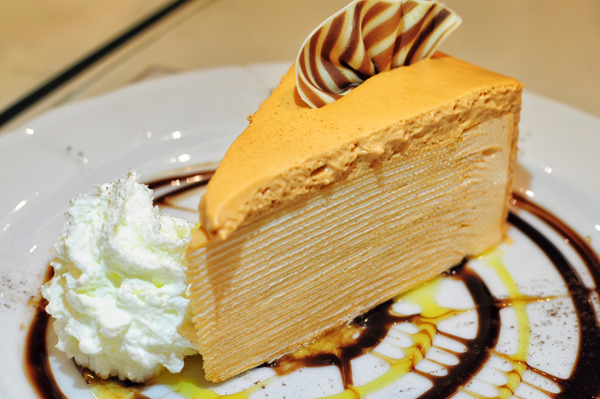 So in this guide, we uncover this hidden gem and introduce the wonder of Thai Milk Tea to you! For non- coffee drinkers, now you have an alternative choice, and not going cafe hopping is no longer a valid excuse. 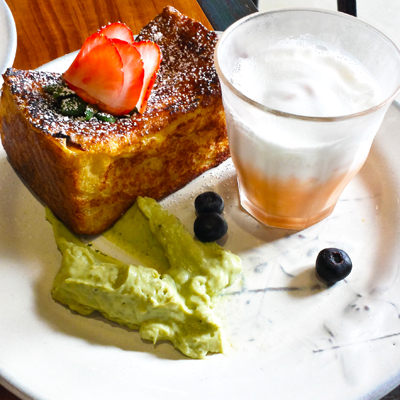 Located at Tai Seng Industrial park about 3 mins walk from Tai Seng Mrt, this quaint little café with minimal interior design is run by previous chef at Lola’s Café. 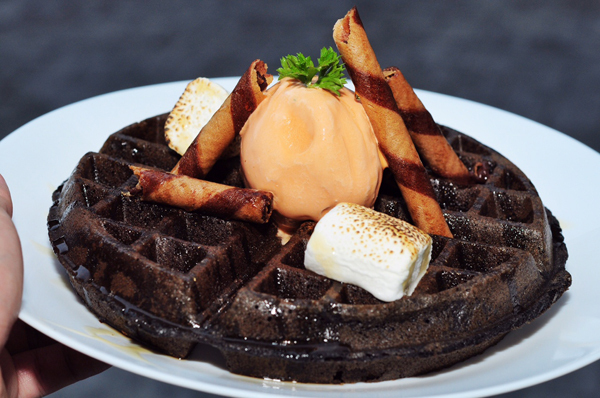 The service was amicable and the staffs were sincere, serving interesting menu items such as Dark Chocolate Waffle with a scoop of Thai milk tea, Single Bone Honey Paprika Wings and Dark Chocolate Panna Cotta. Not an unfamiliar brand for many since it’s around for the past 10 years, The Daily Scoop newest venture at SOTA can possibly satisfy the students’ craving during the long mugging period. Interior is done up with white and bright orange colour and interesting ice cream flavours include thai milk tea, mango sorbet and grapefruit. A ice cream place at Toa Payoh with perpetual crowd. 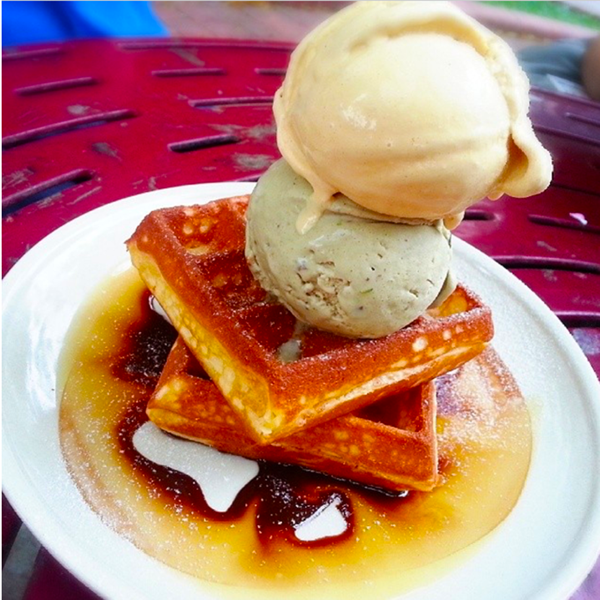 People can be seen sitting at benches at the playground area and eating their waffle with ice cream under the hot sun. Waffle was crispy on the outside and fluffy on the inside. Milk tea Ice cream in a cup to go with the Shibuya Toast. Definitely interesting. 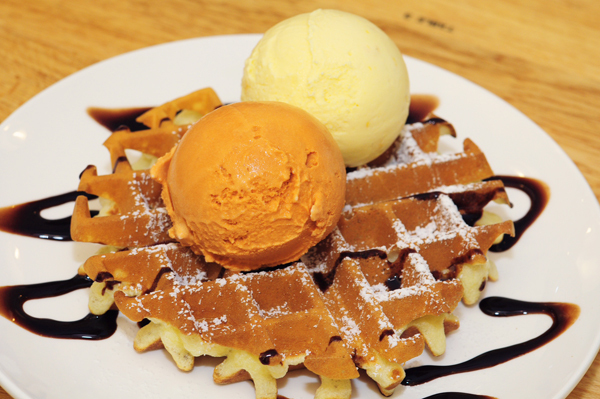 Taking over the space of Liberty Coffee at Rangoon Road, The Cold Pantry offers interesting savory froyos such as Movie Date with nacho chips and Chocolate Root Beer waffles with charcoal vanilla ice cream. We loved their creation though it can be a little pricey for the serving size. Choose to add Thai Milk tea soft serve into your thai milk tea for just $6.50 (Just like a root beer float), making your drink even richer! Sawadee-simida… This Thai- Korean fusion can probably satisfy both the Thai food and Korean food lovers. Brought to you by the Stateland and Honeycomber Boys, they incorporate their syringe idea into their newest venture at Clark Quay. 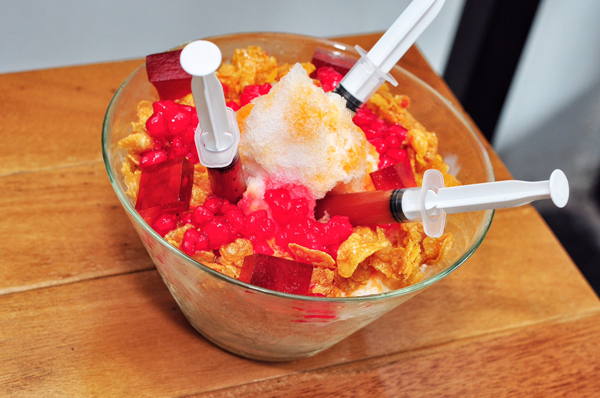 These cha-yen and condensed milk filled syringe will just make your day sweeter. This cafe is definitely ulu. Not anywhere near MRT, but worth the visit if you drive. We loved the seating area with a window ceiling, allowing natural lighting to pass through. 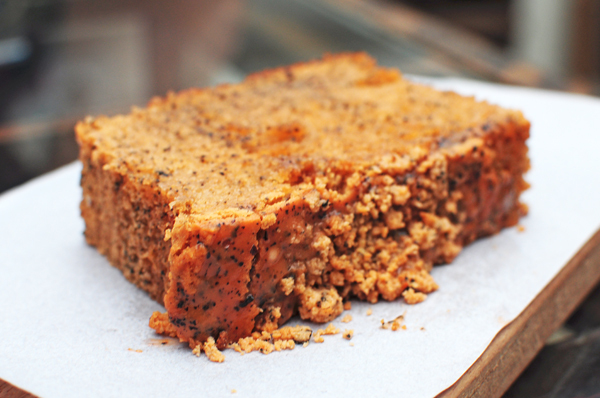 Many will remember Old Hen for their Cold Brew, But they do sell bakes as well. 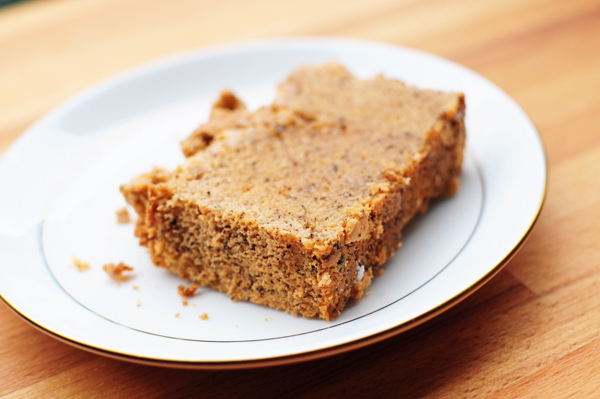 This Thai Milk loaf was soft but don’t be surprised by its sweetness because it’s supposed to be that sweet. Located right across PoMo, their seating area can be pretty small. It’s more of a takeaway outlet since it’s only opened for dine in on Fridays and Weekends. Their primary focus is still on their online pre- orders rather than the bakes on display.